As we reported early last month, Warner Brothers is developing a supernatural action movie centered around Leonardo da Vinci, who is famous for being pretty much everything except an action hero. 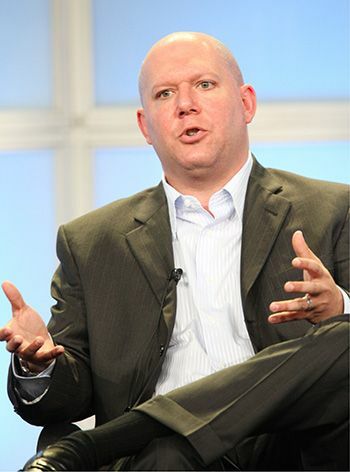 Now THR has revealed that the screenwriter for Leonardo da Vinci and the Soldiers of Forever will be Marc Guggenheim, co-creator of ABC’s Eli Stone and showrunner on FlashForward. Guggenheim already has a history with Warners, being one of the four writers the studio hired to pen Green Lantern. He has also been tapped by the studio to write a draft of Thieves of Bagdad, an Arabian heist movie featuring Sinbad, Ali Baba and other characters from the 1001 Nights. The prolific writer also pens comic books for Marvel (Young X-Men, Web of Spider-Man) and DC (Flash). Proving that there is no medium he will not tackle, Guggenheim also wrote the script for the X-Men Origins: Wolverine video game. • Entertainment • Leonardo da Vinci • Leonardo da Vinci and the Soldiers of Forever • Marc Guggenheim • Movie • Thieves of Bagdad • Warner Bros.